Trent Nelson | The Salt Lake Tribune A Provo police cruiser blocks the road at the Y Mountain trailhead, where a search for a missing hiker continued Tuesday June 4, 2013 in Provo. 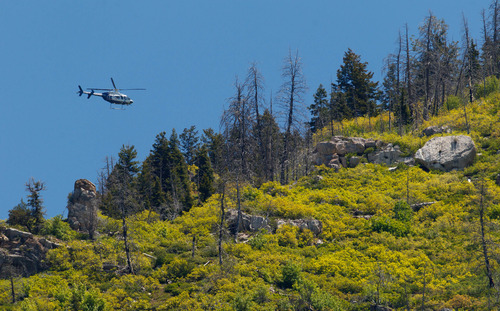 Trent Nelson | The Salt Lake Tribune A helicopter circles above the Y Mountain trailhead, where the search for a missing hiker continued Tuesday June 4, 2013 in Provo. 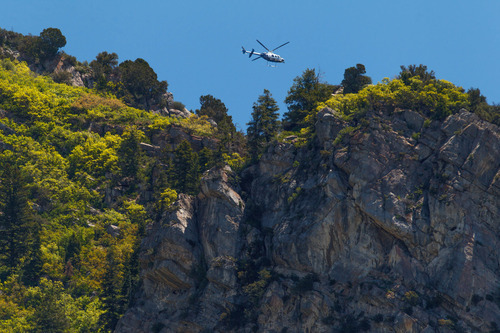 Trent Nelson | The Salt Lake Tribune A helicopter circles above the Y Mountain trailhead, where the search for a missing hiker continued Tuesday June 4, 2013 in Provo. 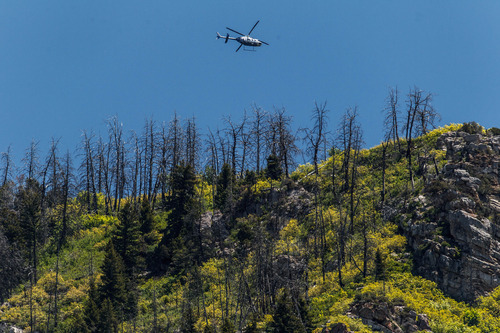 Trent Nelson | The Salt Lake Tribune A helicopter circles above the Y Mountain trailhead, where the search for a missing hiker continued Tuesday June 4, 2013 in Provo. Trent Nelson | The Salt Lake Tribune A helicopter circles above the Y Mountain trailhead, where the search for a missing hiker continued Tuesday June 4, 2013 in Provo. 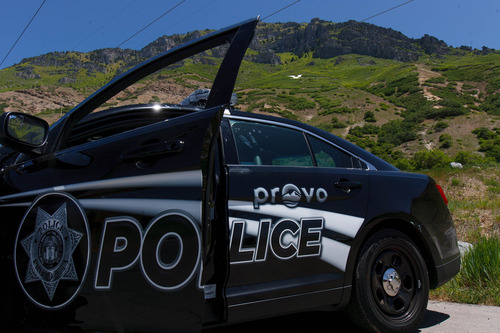 As Tuesday drew to a close, search crews were unable to locate a missing hiker in the mountains east of Provo who had been reported missing since Saturday. 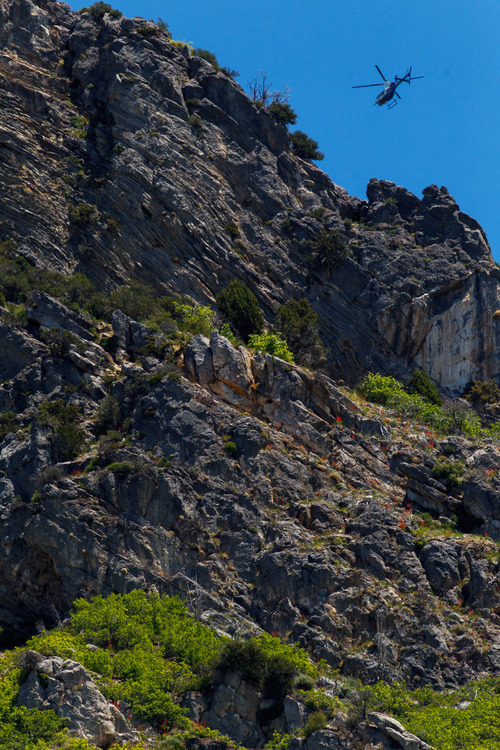 Search crews began late Tuesday morning combing the area of "Y" Mountain, just east of Brigham Young University, for a 22-year-old BYU student. An AirMed helicopter out of Salt Lake City assisted the effort, shuffling searchers from one location to another in the area. Provo Fire Battalion Chief Tom Augustus identified the hiker as Tyler Mayle of Windsor, Colo. He was last seen by family members late Saturday morning. On Tuesday afternoon, the main trail to the mountain was closed and authorities were clearing hikers in preparation for a grid search of the rugged terrain. After using a "ping" search to triangulate the approximate location of Mayle&apos;s cell phone, searchers narrowed their search grid to about 3,200 feet wide on a north-facing canyon. Augustus said about 25 people searched the area on the mountain, assisted by dogs and a plane from Utah County Search and Rescue. As of 10 p.m. Tuesday, the searchers had returned home for the night and the Utah Department of Public Safety was planning to send a helicopter with an infrared camera. Mayle is thought only to have a light "camel" water pack, and may have hiked toward the "Y," so named for the large letter on the mountain. The man was wearing gray shorts and black shoes, Augustus said. There has been no contact with the man or sightings of him, but family members thought he may have gone on a day hike in that area of the mountain. Augustus said authorities would continue looking in the morning.